Traumatic Brain Injury Blogs List. The Best Traumatic Brain Injury blogs from thousands of Traumatic Brain Injury blogs in our index using search and social metrics. We’ve carefully selected these websites because they are actively working to educate, inspire, and empower their readers with frequent updates and high-quality information. 2.5 Kara Swanson's Brain Injury Blog | Rock This Life! Traumatic Brain Injury newsletter is a comprehensive summary of the day's most important blog posts and news articles from the best Traumatic Brain Injury websites on the web, and delivered to your email inbox each morning. To subscribe, simply provide us with your email address. About Blog Discover the latest news, treatment, and concerns for individuals suffering from traumatic brain and head injuries. Facebook fans 374. Twitter followers 818. About Blog This blog is written by TBI blogger who is a multiple-concussion survivor, now living large, living well, and sharing info about how to restore your life and sense of self after brain injury. Princeton, New Jersey About Blog This law blog provides news & commentary on brain injury legal developments. Topics include personal injury claims, concussions and compensation for brain injuries. Facebook fans 2,112. Twitter followers 1,145. Youngsville, North Carolina About Blog Leading publisher of brain injury books, resources and information about traumatic brain injury, concussions, and post traumatic stress disorder PTSD. Facebook fans 1,047. Twitter followers 180. 5. Kara Swanson's Brain Injury Blog | Rock This Life! About Blog Get all information about brain injury from Kara Swanson's Brain Injury Blog. Hampton, VA About Blog The Brain Injury Law Center are the brain injury lawyers dedicated exclusively to representing brain injury victims, survivors and their families. This blog talks about experienced attorney who helps you to seek compensation to alleviate the emotional and financial burdens this unwanted injury has placed on your family. Facebook fans 1,433. Twitter followers 513. About Blog Helping people better understand the impact of brain injury and the remarkable work being done every day to improve our ability to diagnose brain injury, to treat brain injury, to prevent brain injury and to obtain compensation for brain injury caused by negligence. San Francisco, CA About Blog This is a subreddit devoted to Traumatic Brain Injury (TBI). TBI's are life changing injuries that are not fully understood. This is a subreddit to provide support to those who have suffered TBI's, and to discuss these injuries and the ongoing effort to learn about these injuries. Washington, DC About Blog Information and resources about treating and living with traumatic brain injury (TBI) and PTSD: research-based articles, videos, personal stories, expert Q&A, research updates and more for people living with brain injury, caregivers, family, friends, and professionals. Facebook fans 70,224. Twitter followers 40,635. About Blog The mission of BEST is to provide support, advocacy, public awareness, education and socialization opportunities to individuals with a brain injury and their families. Facebook fans 730. Twitter followers 1,841. About Blog Find stories of survival, inspiration, determination, and recovery from TBI survivor. In this blog you can also share your story to help others. Dallas, TX About Blog Articles and news updates on the latest in recovery techniques for MTBI and TBI, with a focus on brain injury rehabilitation blog items. Facebook fans 942. Twitter followers 572. Saint Paul, MN About Blog Amy Zellmer is a TBI (Traumatic Brain Injury) survivor and advocate. She is a voice for survivors and their caregivers, bringing awareness to the world. Toronto, Ontario About Blog From this blog one can get knowledge about brain injury and how to live life after brain surgery as people from all around the world share their personal experiences. East, England About Blog My name is Michelle Munt and this is my story about surviving a brain injury and what I continue to learn about it. This is for other survivors and their loved ones, but also to raise awareness of what can happen to those in an accident. This invisible injury too often goes undiagnosed and it can be difficult to find information about it. I will talk about things that have helped me as I continue to recover and invite others to see if it works for them too. Facebook fans n/a. Twitter followers 3,384. National About Blog A network of dedicated brain injury lawyers & professionals providing a gateway to support, information & advice for brain injured people & their families. Facebook fans 1,151. Twitter followers 4,933. McKinney, TX About Blog The purpose of the TryMunity is peer support for those of us who suffered a life-changing tragedy. We are an web-based social networking site supporting TBI survivors and their families. Facebook fans 2,313. Twitter followers 826. About Blog TBI Health provides a comprehensive range of physio, pain management and rehabilitation services across New Zealand. Facebook fans 1,620. Twitter followers n/a. Surrey About Blog The Silverlining Charity brain injury blog. Exploring all aspects of our work and living a fulfilled life after brain injury. Facebook fans 644. Twitter followers 876. Phoenix, AZ area About Blog This blog helps to get lot of information about brain injury as people share their real life experiences. About Blog David is a survivor of traumatic brain injury. In this blog he shares his experiences and gives tips to help other brain injury survivors. About Blog I was a pedestrian hit by a speeding car in 2007. After 8 years of rehab I'm now speaking to various audiences and blogging to increase public knowledge of Traumatic Brain Injury. Facebook fans 1,901. Twitter followers 337. London, England About Blog Neuro Rehab Times: News and insight on brain injuries and neurological conditions including stroke and MS.
Denver, CO About Blog My personal experience living with a TBI including alternative treatments like essential oils, acupuncture, massage and craniosacral therapy. Facebook fans 734. Twitter followers 1,825. Maine, USA About Blog Blog of Jeff Sebell, Author and TBI Survivor. Committed to helping TBI Survivors acquire the tools and confidence to lead a fulfilled life. About Blog I suffered a brain injury on a cycling trip in 2015 and this blog is about my return to running ultramarathons, from 50k to 100 miles, my ongoing mental and physical struggles, my rehab, and my life with mTBI. About Blog A Movimentos e Olhares is a non-profit association that was born as a result of a misfortune, Trauma Brain Skull Light, lived and told in the first person.Its mission is to support the rehabilitation and integration into the working life of patients who have suffered slight Brain Trauma through a multidisciplinary team. We develop our activity among patients and caregivers, primarily in the areas of Neuropsychological Assessment, Psychological Support, Cognitive Rehabilitation and Legal Support. Facebook fans 883. Twitter followers n/a. About Blog Craig likes to share knowledge and insights from his life experiences to try and help others through simple encouragement. He hopes that by sharing this information, it will help promote awareness of and also make some difference in those lives affected by brain (head) injury, what is often termed “the “silent epidemic”. Cypress, TX About Blog This blog was developed to share the journey of Ben from recovery from TBI. New Hampshire, USA About Blog Hope after brain injury is a non-profit organization focused on providing hope and guidance for those with brain injuries. Facebook fans 592. Twitter followers 38. Virginia About Blog Read the latest Virginia brain injury lawsuits ans settlement news. Learn more about traumatic brain injury (TBI). Facebook fans 3,592. Twitter followers n/a. 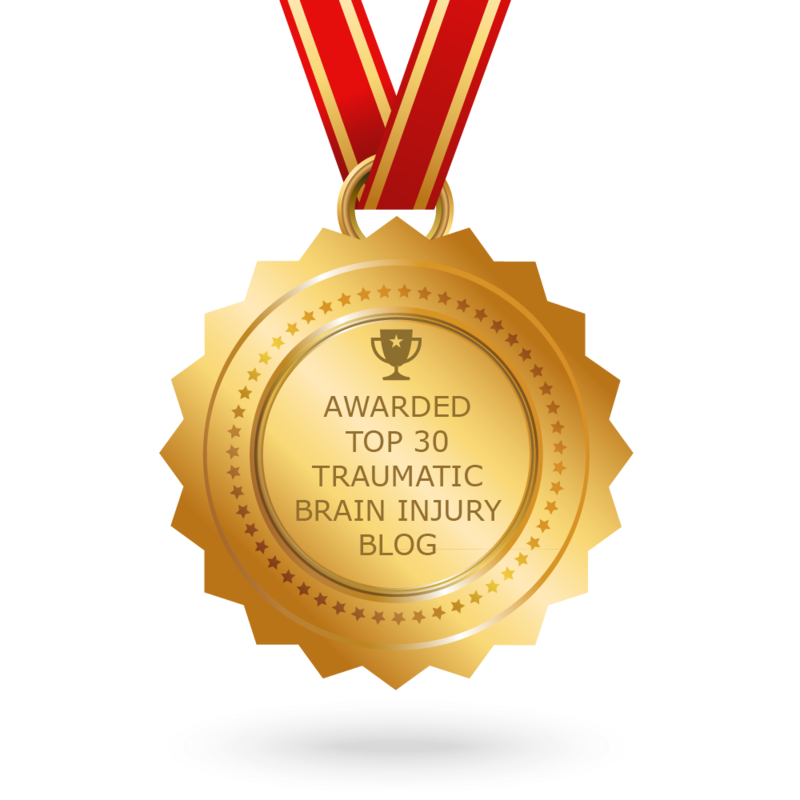 CONGRATULATIONS to every blogger that has made this Top Traumatic Brain Injury Blogs list! This is the most comprehensive list of best Traumatic Brain Injury blogs on the internet and I’m honoured to have you as part of this! I personally give you a high-five and want to thank you for your contribution to this world.